This is an important period for the 32-year-old, because on one hand, he is out of contract at the end of the season and, secondly, McFadden has not given up hope of earning a recall for the World Cup. Players will be motivated for different reasons over the coming days and McFadden knows all about coping with the disappointment on the international stage. "I've always found it (coming back to Leinster) the perfect tonic, either side of the coin," McFadden maintains. "Last year, I was involved in a couple of games and in the camp for the full Six Nations. "I have no doubt, even of the lads had won the Six Nations, they would still be coming back here, I'd like to think, with a smile on their faces and be happy to see us, mixing back in with the boys. I would say it will be a nice freshener for a few of the coming back in here, training with us all, sleeping in their own beds for a while. You are stuck in hotels for a long time." McFadden has plenty of competition ahead of him if he is to force his way back into Joe Schmidt's plans for the World Cup, but it certainly helps that the Kiwi has never been shy in showing faith in him when fit. 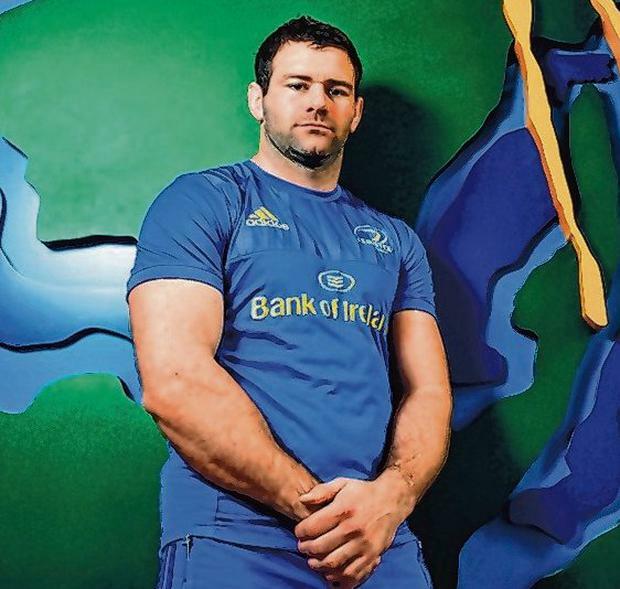 "Listen, at the moment, all I've got in my mind is trying to get back in this Leinster team," he admits. "The way I looked at it, last year I hadn't been in the squads for a while through reasons of injury and my form not being very good. "The way I look at it is if I'm in the Leinster team for the big matches, I can't be too far away from being involved in the Irish team. "At the moment, the priority is getting back in this Leinster team because it is just as tough as trying to get into the Irish side really." Like everyone else on the outside, McFadden has been scratching his head as to how Ireland have gone from Grand Slam champions to slumping to a third-place finish. The versatile winger is, however, keen to offer a sense of perspective amidst the usual hysterical over-reaction as the fallout rumbles on. "It is very tough for me to put my finger on it because I just haven't been in that environment for the full camp," McFadden insists. "There is no better coach to get some of the stuff they got wrong, get it right. There is time to do that. "There are four friendlies before the start of the World Cup. That is time for Joe to try new guys and then try to get that consistency going into the tournament. There's a lot of time to the World Cup and I just don't want to think we need to be pressing the panic button just yet.